It's so easy to be green! 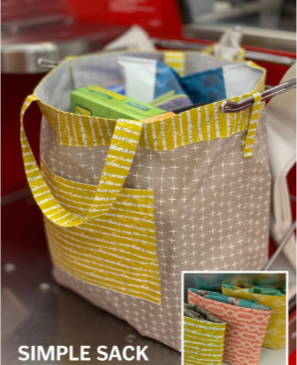 Keep these lightweight, washable bags in your car and you'll be ready to run errands anytime! Easy loops on the top and sides will hold your bag steady while packing groceries. Tuck the bag into its pocket for easy storage. Finished size: 14" x 12" x 7"